The Ghana National Association of Teachers (GNAT) is funding the construction of a bridge over the Tabiri River on the Ejisu-Abankro road in the Ejisu-Juaben Municipality. The ceremony to mark the official start of work on the GH¢ 70,000.00 project was performed on Friday. The bridge, on completion, would ease the troubles of drivers and commuters who daily use the road. Mrs. Philapa Larsen, National President of GNAT, said it was part of the association's corporate social responsibility to the Abankro community. GNAT has conference and hostel facilities there and it is therefore important the road is kept in good shape to make it easier to access these. Madam Comfort Serwaah Derkyi, the Municipal Chief Executive (MCE), applauded the teacher association for the project and said it was a right step. 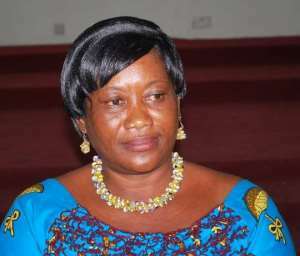 She indicated that the intervention had brought huge relief to the assembly as the bridge had become a major headache. The MCE called for the people to support and cooperate with the contractors to ensure early completion of the project. Nana Afrane Okesse, Omanhene of Ejisu, said GNAT had shown leadership in corporate social responsibility, adding that, it was a good example for everybody.